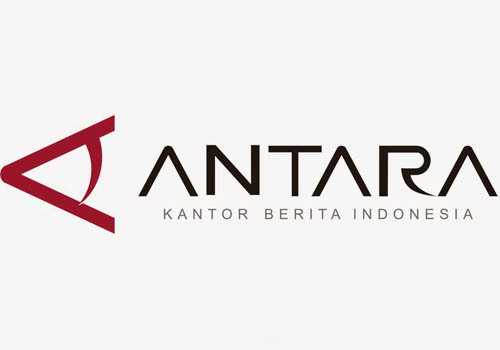 A press release received by Antara on Sunday, said the index issued by the “Access to Seeds Index Foundation”, an independent organization funded by the Bill & Melinda Gates Foundation and the Dutch Government. This index aims to improve farmers’ access to modern agricultural technology, food crop varieties that are more productive to close the gap between seed companies and small farmers. Bill Gates, speaking at a forum on innovation stressed the importance of agriculture in achieving global prosperity. More than 70 percent of the world’s poor are farmers. They have a small land, very little information, poor seed quality, not a lot of recognition, and endure what it is. The weather changes in the future will be more severe for them. Countries that have prospered improve their agricultural productivity quite dramatically. The world in 2050 is estimated to require 70 percent more food to feed nine billion people, the conditions in which only a small amount of water and land available. The only way to achieve this is by increasing agricultural productivity, more crops from the land and the resources are few, and more environmentally friendly way to produce food. “We recognize that small farmers represent an untapped opportunity to meet the challenge of global food security. Giving them access to quality seeds unlock their potential to produce more food for the world’s population is increasing,” said Executive Director of Access to Seeds Foundation, Ido Verhagen. East-West Seed the lead in two of the three index categories namely: Global Index for Vegetable Seed Company ‘and’ Regional Index for East Africa ‘. Index commitment to East-West Seed for small farmers, which is evident in all aspects of its business including packaging, distribution, customer service, research and development, knowledge transfer and innovation. According to the report, East-West Seed deemed successful prioritizing the needs of small farmers in developing plants both local and global scale. CEO of East-West Seed, Bert van der Feltz expressed thank you to the Access to Seed Index Foundation prioritizing small farmers. Index is an important barometer of the seed industry’s influence on small farmers. They are the drivers of our business since the East-West Seed was founded in 1982. “It is important to help small farmers because they are key to improving access to the world on a nutritious diet, and they also contribute to economic growth. While doing this we achieve several objectives at once: farmers’ income increases, consumers have access to vegetables of high quality, and we build the seed business exciting and rewarding. ” said Bert. According to a company seeking to improve incomes and livelihoods of farmers, has been approached in the form, local breeding to meet local demand, producing more than 800 varieties of 37 vegetable crops. Then there is also the provision of local extension technique that trains farmers to plant in the Philippines, Thailand, Myanmar, India, Cambodia, Vietnam, Indonesia, Tanzania and in some West African countries. And the availability of small packaging of seed (about US $ 1 per pack) that is suitable and affordable for small farmers with land less than two hectares, representing 85 percent ownership of agricultural land in the world.